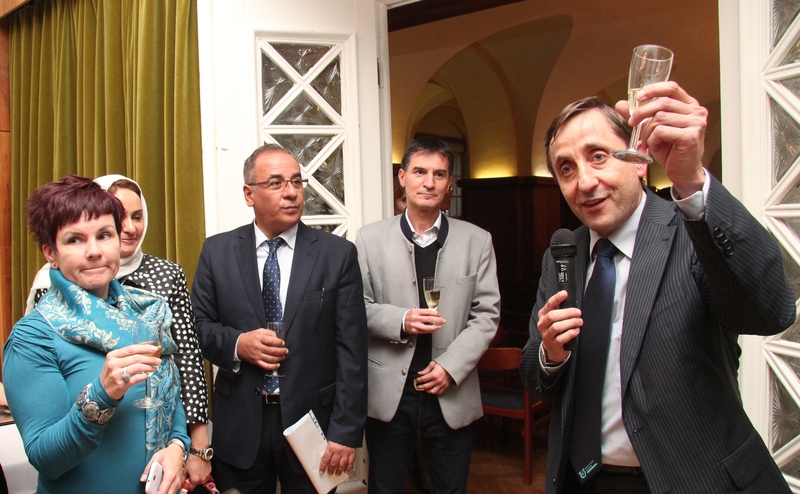 An official International Opening Ceremony and Welcome Reception for the academic year 2015/2016 has been organized by the International Relations Office at Szent István University (SZIU). 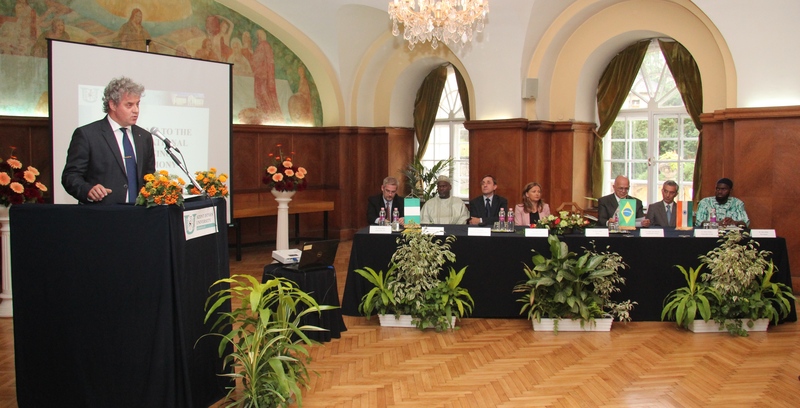 The ceremony took place in the Rector’s Meeting Hall in Gödöllő on 29 September 2015. Within the framework of several scholarship programmes, SZIU is hosting almost 1400 students from 89 countries this academic year, which accounts for nearly 10% of the student body. A non-exhaustive list of the non-European sending countries includes Brazil, India, Nigeria, Iraq, Fiji Islands, Algeria, Gambia, Japan, Kenya, Congo, South Korea, Rwanda, Botswana and Uzbekistan. The event was officially opened by Dr. János Tőzsér, Rector of Szent István University, who welcomed all the invited guests, professors and the international students. In his address he emphasized that our institution offers a uniquely wide range of courses and research in agriculture-related fields and students can gain knowledge, expertise and experiences as well as make relationships that can be essential in their whole life. Afterwards Dr. István Szabó, Director for International Relations and Dean of the Faculty of Mechanical Engineering gave a detailed description of the main scholarship programmes, namely the Science Without Borders programme, Stipendium Hungaricum Scholarship (launched by the Hungarian government), a scholarship co-financed by FAO and the Ministry of Agriculture, Erasmus+, Erasmus Mundus and CEEPUS. The esteemed ambassadors of three particular countries, Brazil, India and Nigeria were invited to the ceremony since these countries had sent the largest number of students to our university from their continents. H.E. Valter Pecly Moreira Ambassador of Brazil, H.E. Rahul Chhabra Ambassador of India and H.E. Muhammadu Sani Yunusa Chargé d'Affaires a.i., Embassy of Nigeria, welcomed the students from their countries and encouraged them to exploit the possibilities of the exchange and scholarship programmes they had been granted. In her address, Ms. Katalin Tóth, Deputy State Secretary for International Relations of the Ministry of Agriculture said that the scholarship programme funded by the Ministry of Agriculture and launched in 2007 supports the agricultural higher education training of students from developing countries. Knowledge transfer is among top priorities since it is the most effective way of supporting low-income countries. Mr. Gábor Dobos, Head of Unit for Stipendium Hungaricum Scholarship introduced the programme for the audience. This September more than 2000 international students from 37 countries could start their studies in Hungary within the framework of it. Mr. Alieu Gibba, PhD student at the Doctoral School of Management and Business Administration gave his speech as the representative of SZIU’s international students. He underlined the importance of students’ academic performance since they can be regarded as the ambassadors of their sending countries in Hungary. Furthermore, he emphasized to the students that ‘The university starts with"U"'. Two colourful folklore performances – Hungarian folk songs accompanied by traditional musical instruments were presented by three cheerful boys from Gödöllő, Ms. Krisztina Benedek and Mr. Szabolcs Pertis. This ceremony was part of a series of cultural events to enhance the integration of international students, one of Szent István University’s internationalization and educational goals. The next occasion for cultural exchange will be the International Dinner on 8 October 2015 organized by the Erasmus Student Network.